Washburn University is here to help you make the most of your opportunities as a veteran. No matter whether you want some guidance for your career or need help navigating your benefit options, we’ve got your back. Reach out to the Military-Student Success Center in Mabee Library to take advantage of assistance and benefits available to you at Washburn University. 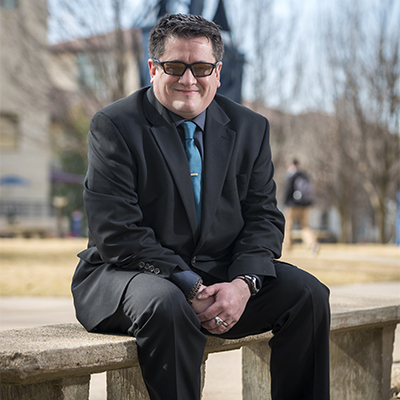 Chris Bowers doesn’t just understand the veteran experience at Washburn University – he has lived it. After more than two decades in the United States Army, Bowers retired from military service in 2010 before deciding to pursue a degree in History at Washburn. In the fall of 2015, after working with administrators and faculty, Bowers served as a peer educator to a First Year Experience class for veterans. 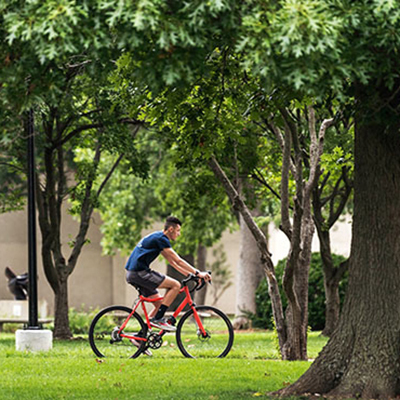 The class helps students get to know Washburn and allows them to connect and share experiences related to the military and translate those to collegiate life. Bowers has since transitioned into his current role as Military Transition Coordinator for the Student Success Center, located in Mabee Library, where he works to serve as the first point of contact for all new veterans attending the university. Contact Chris as 785.670.1983 or email chris.bowers@washburn.edu.